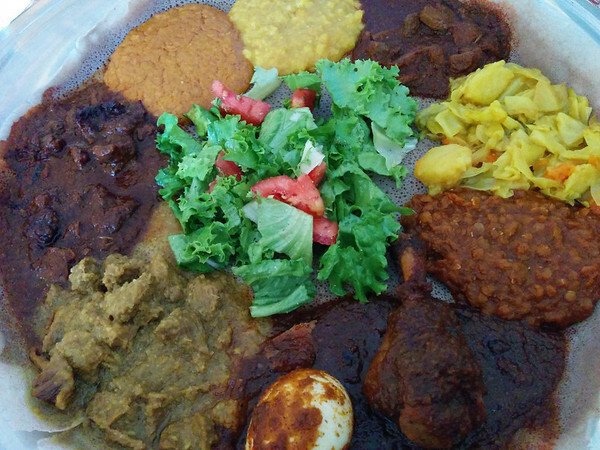 Several meat and lentil dishes served together on an injira, a fermented and steamed crepe. Fundamental flavors are surprisingly similar to Indian food – just imagine this served thali style. Overall tastes were sufficiently different to make it interesting. 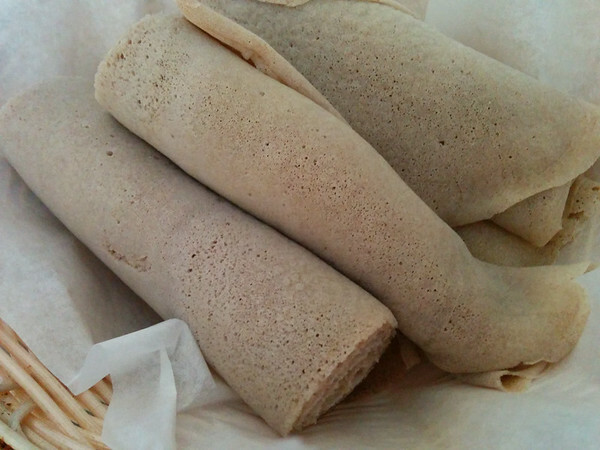 If you are going towards Asmara in Temescal, consider checking out Doughnut Dolly nearby. They do run out of doughtnuts and close shop – so adjust your expectations accordingly.